Let the kids go wild with the ultimate birthday bash at Gumbuya World. 22nd September to 28th April 2019. 11am – Close. Complimentary admission (x2) for parent/ guardian of the birthday child. Complimentary adult supervisor admission for every paid child guest. Children under 10 years of age, a supervising adult may accompany a child on rides and attractions where required. Refer to rides info under visitor information. Add on: Food and beverage packages from $12pp. A 30 minute VIP Ranger Walkabout Tour of the Wildlife Trail, $5pp (min 10 children), private cabana in the water park and Surf’s Up – learn how to surf! (additional cost, please book via the website). 22nd September to 28th April 2019. See exclusion dates in terms and conditions. 2pm – Close. 4th May 2019 to 20th September 2019. 11am – 5.00pm. Add on: Food and beverage packages from $12pp. A 30 minute VIP Ranger Walkabout Tour of the Wildlife Trail, $5pp (min 10 children) and Surf’s Up – learn how to surf! (additional cost, please book via the website). 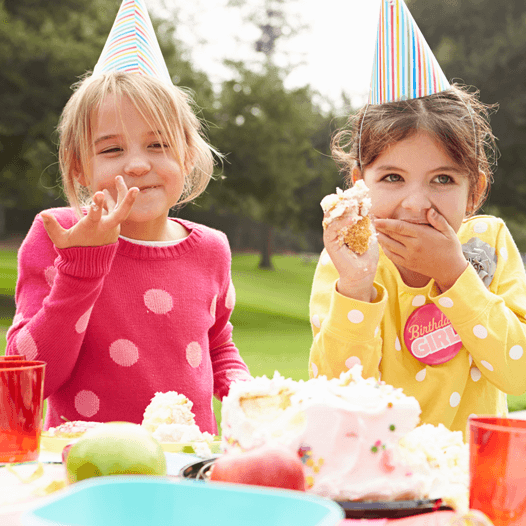 Bookings for all birthday parties must be made a minimum of 7 days in advance in order to secure your party date. Summer Express Birthday Party not valid from 26th December through to Monday 28th January 2019. Wrap Combo: Salad, ham or chicken, chips & drink We can accommodate special dietary requirements. Alternatively food can also be ordered from the Café menu on the day. Admission is free for children under 3 years of age. Food ideas for toddlers can be brought into the park (no glass). Additional adult and child entry tickers can be purchased on the day of your event. Admission tickets (wristbands) will be available for collection from Gumbuya World’s Guest Services desk on the day of your booking. Group booking tickets are date specific, any unused tickets will be charged at the applicable rate. Gumbuya World does not allow for rescheduling or rainchecks of group events due to inclement weather and all sales are final. No food or beverages are allowed into the park except for drink bottles for water and birthday cakes which we are happy to hold and store for our guests in our cafe refrigerator. You are welcome to bring birthday items such as a table cloth and party hats. NO CONFETTI OR BALLOONS. A designated area including tables and chairs will be reserved for your group. Anyone with an annual pass within your group can use the pass on the day of your visit. Credit card details will be stored in accordance with privacy legislation.